Does our title sound somewhat familiar? It should. Back when we covered the Thief promotional campaign where fans tried to pick locks to win a PS4 and other prizes, we wondered if more companies would launch similar promotions in the spirit of the games they were advertising. Well, Ubisoft certainly got into the spirit of things with Watch Dogs. 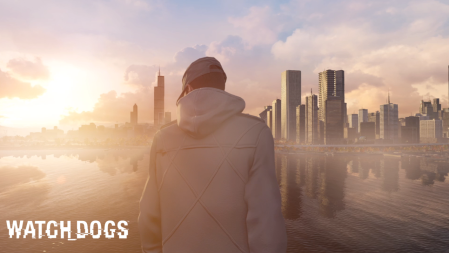 Canadian players were able to play an Alternate Reality Game (ARG) with the Watch Dogs Live app, which gave them several missions to complete. In the final mission, players were charged to hack locations with the mobile app, and the city that saw the most activity would receive a cargo drop today, March 27. Earlier today, the container was dropped in Toronto, Canada. Players attempted to hack into it to win the PS4 and other prizes hidden inside. The live feed is down, now, so we assume someone won, although we don’t yet have the details. If a promotion like this happened near you, would you participate?